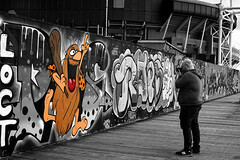 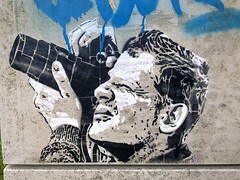 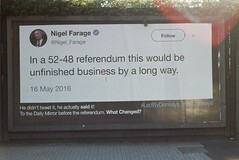 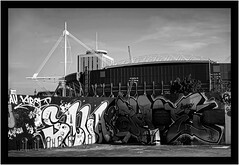 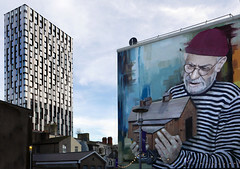 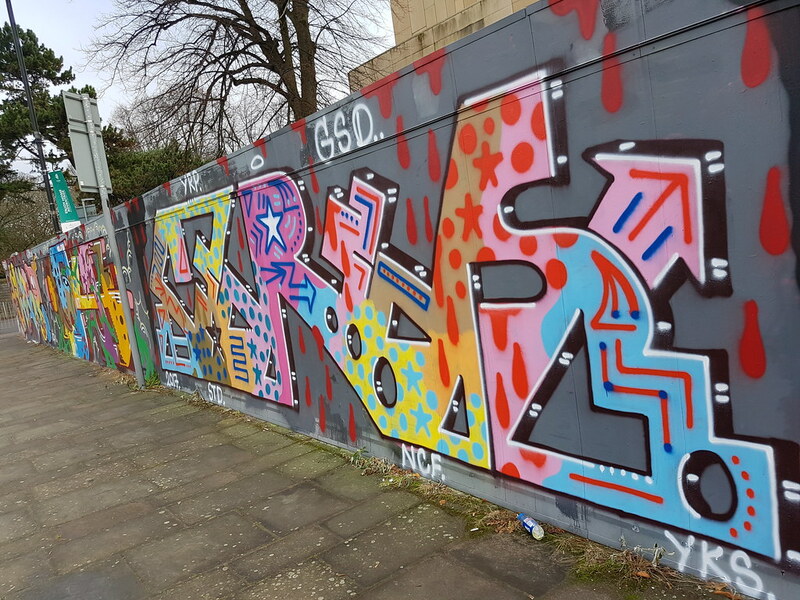 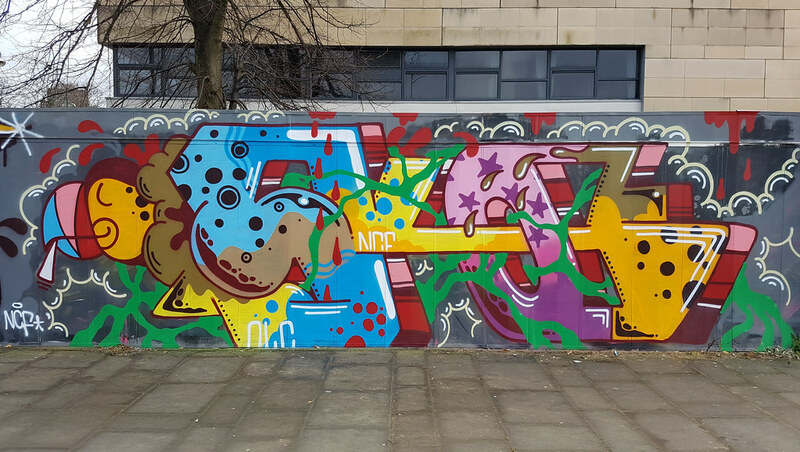 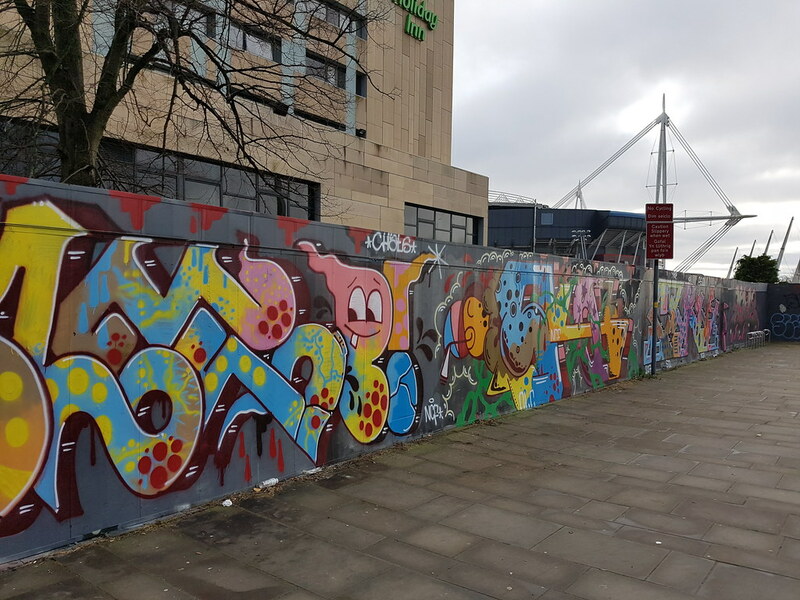 The legal graffiti wall running alongside the River Taff near Cardiff’s Millennium Stadium had become a showcase for the city’s street art where there was one last paint before it was made to stop to make way for the UEFA Champions League Final earlier in 2017. 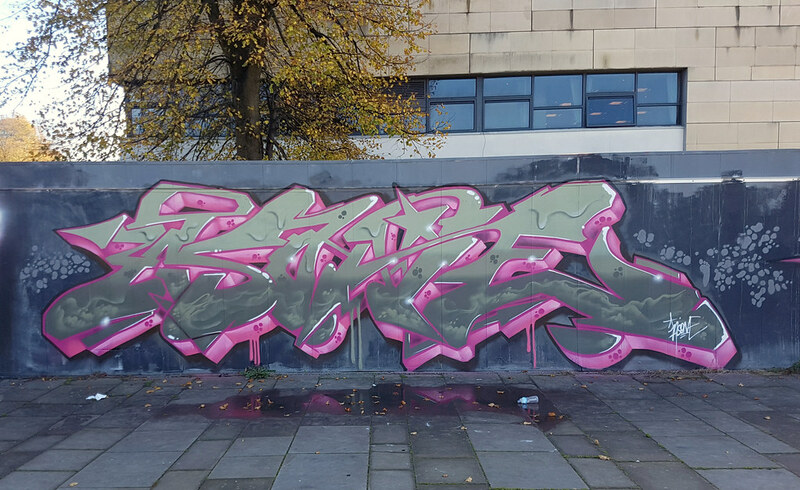 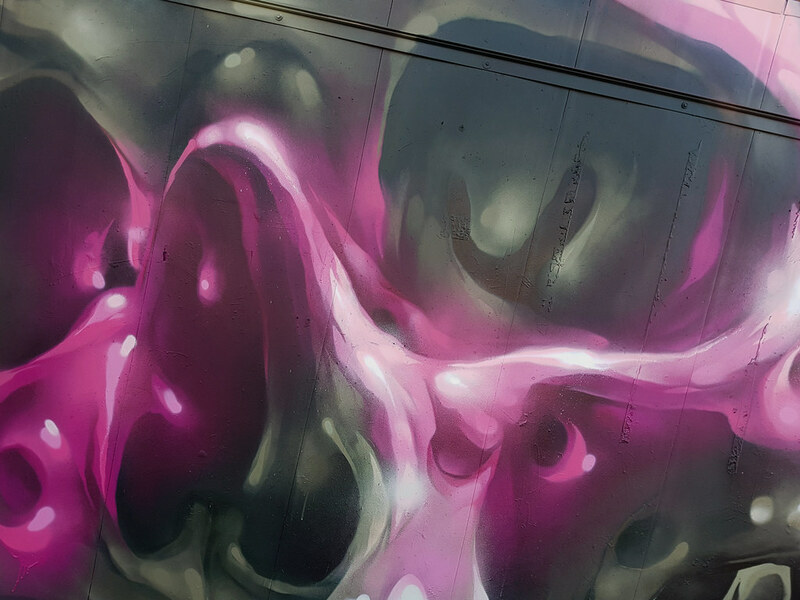 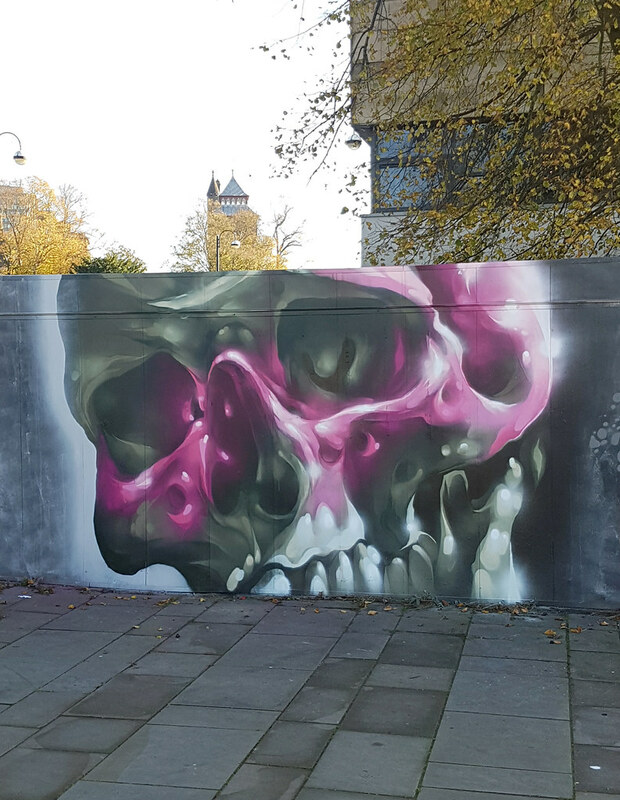 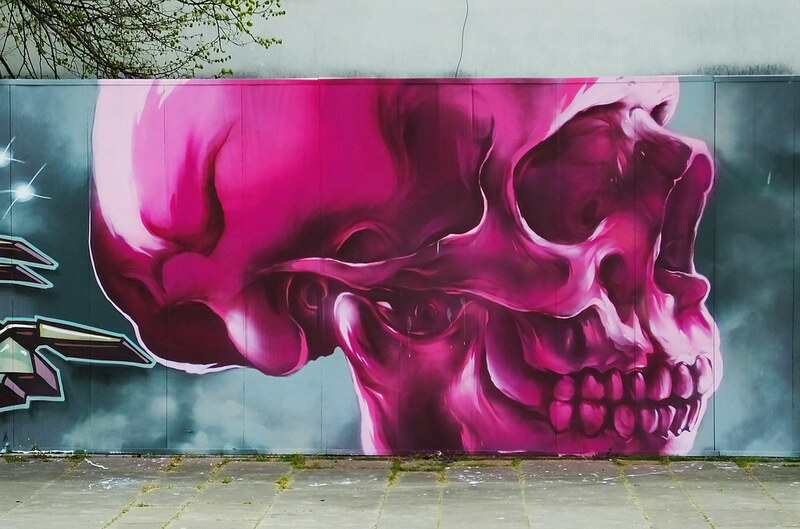 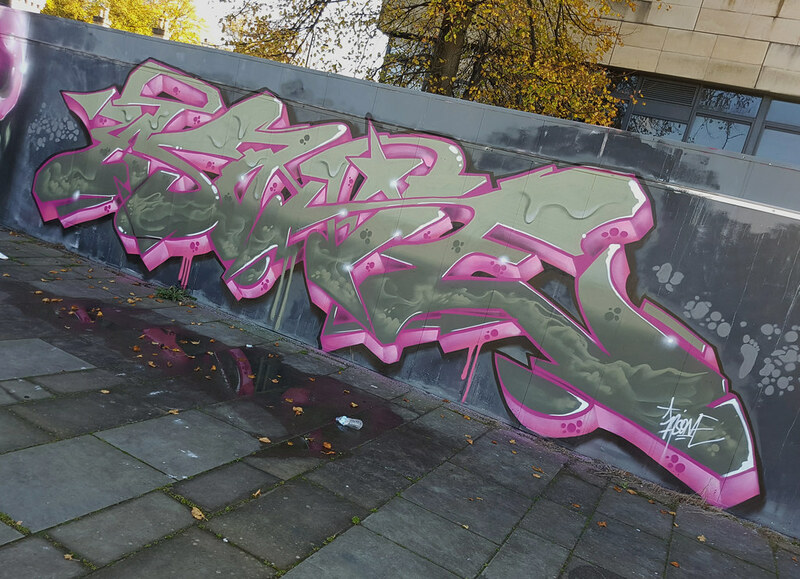 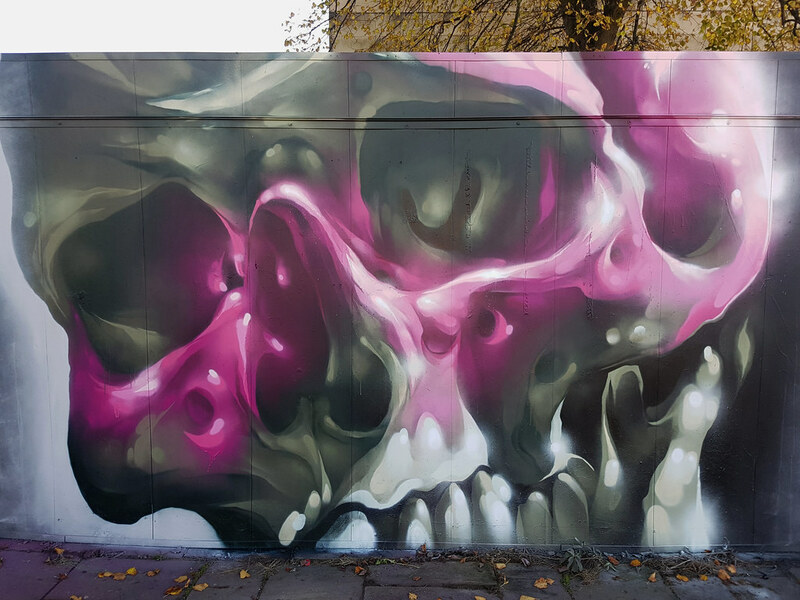 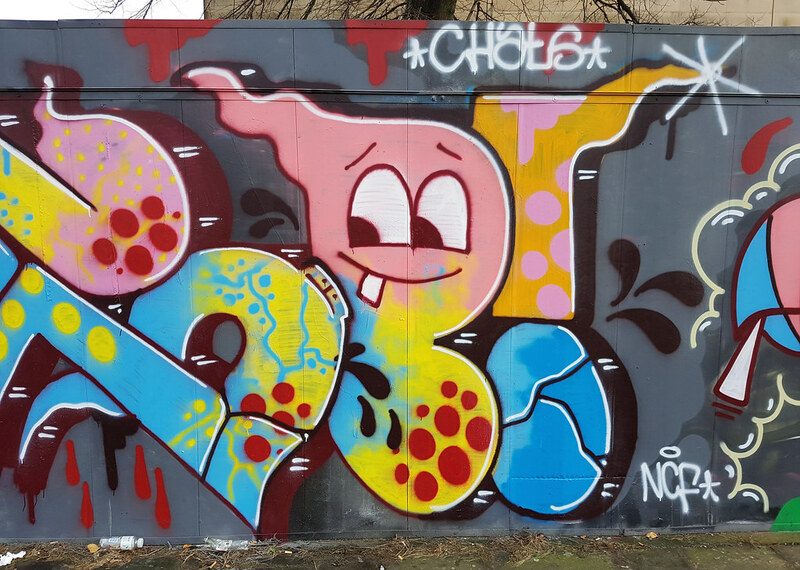 One of the last pieces painted was this pink skull by Rmer with no new work appearing until the council had overturned their previous decision later in the year. 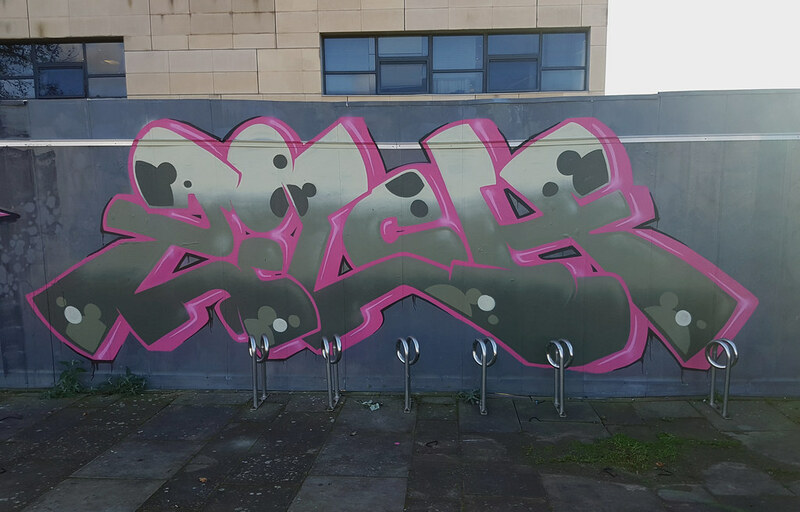 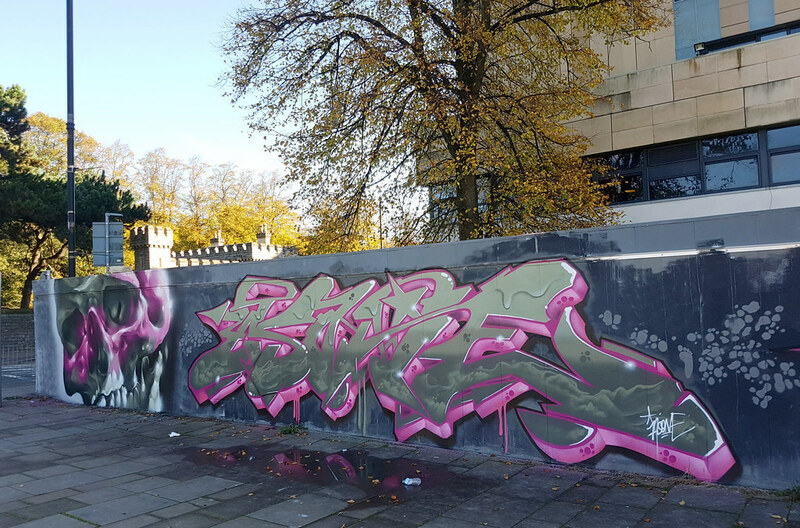 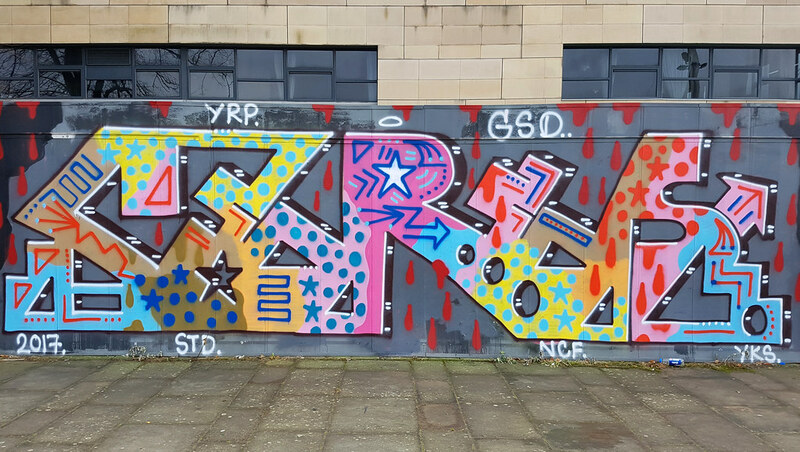 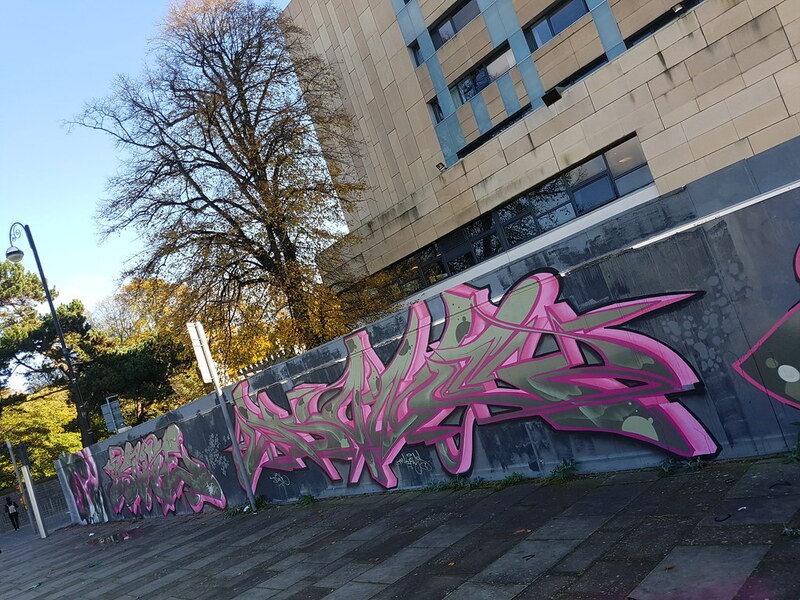 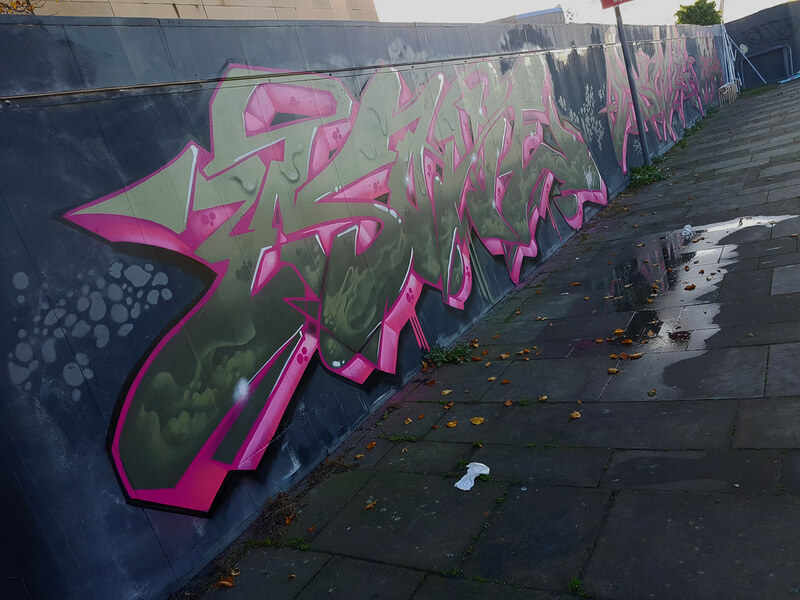 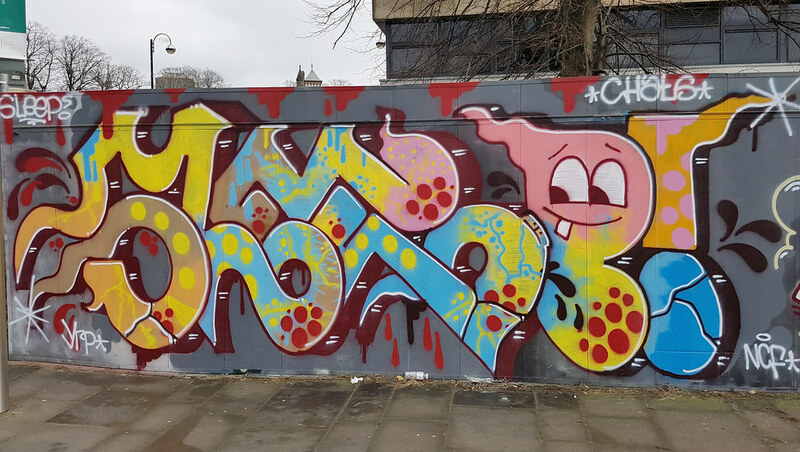 So six months later – on a grey Autumn day a host of Cardiff artist’s battled the weather to officially paint again on the Millennium Walkway – and a welcome return to another pink skull from Rmer. 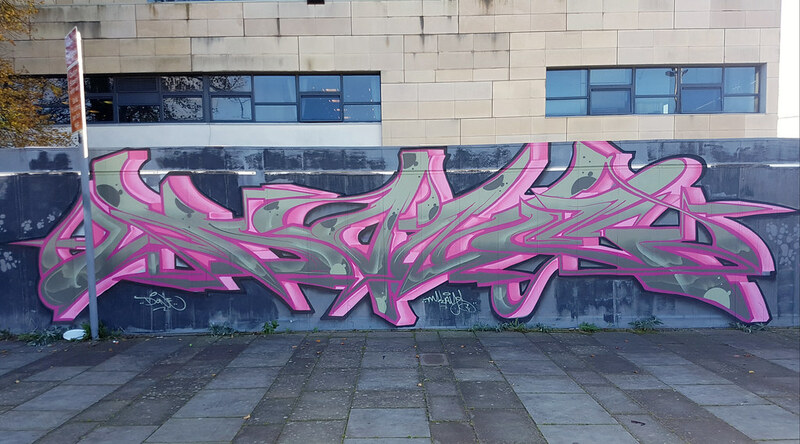 This work lasted for many months and then it was a total surprise to see such an explosion of colour, patterns and shapes replace the previous pink pieces. 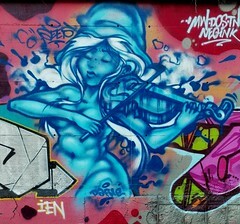 What an assault on the senses from Ceres, Sleep and Pat Badger (?) 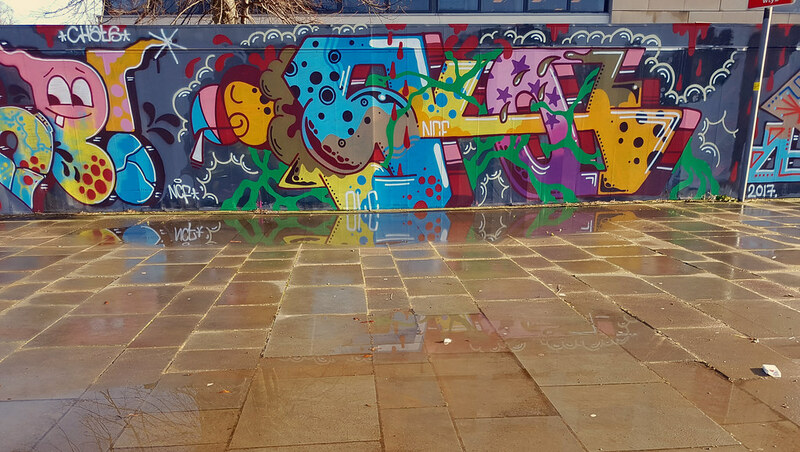 featuring an assortment of acid colours, drips and 3d effects. 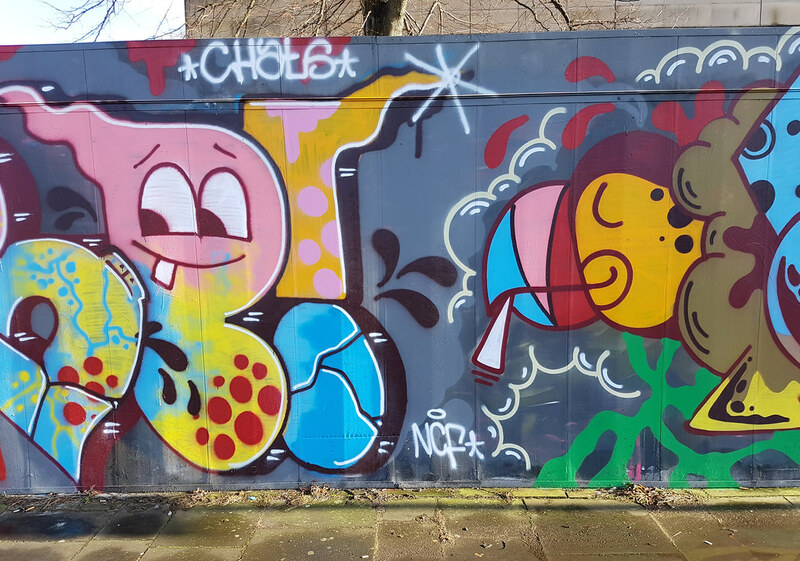 Some great little characters dotted throughout including this toothy chap and a smoking parrott! 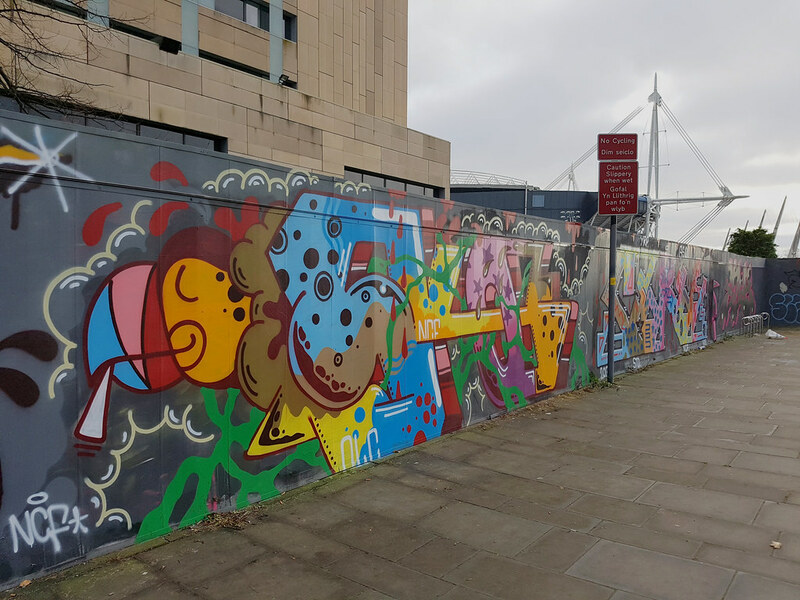 It’s always great to see work of such a high caliber at this end of the wall showcasing all of Cardiff’s talents to everyone that passes by that may not actually venture up the walkway itself.